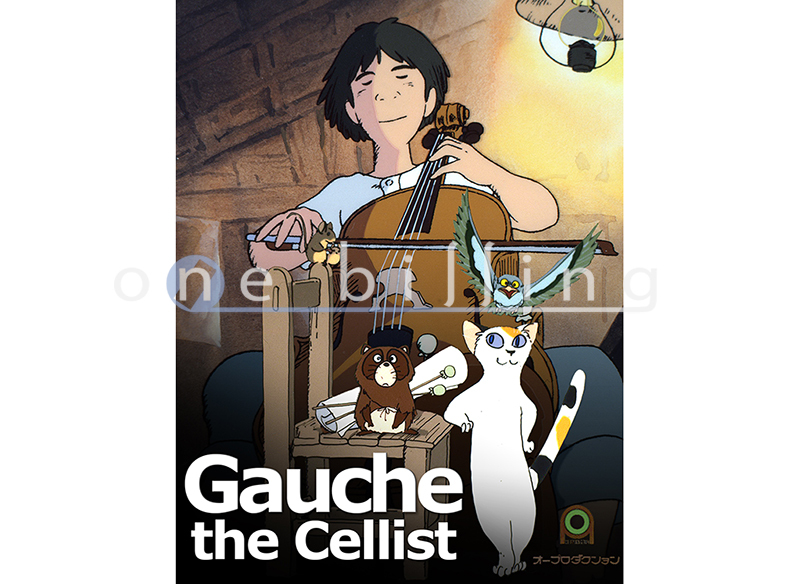 Gauche the Cellist” is a feature-length animated film produced by a small Japanese production company known as OH Production in 1982. 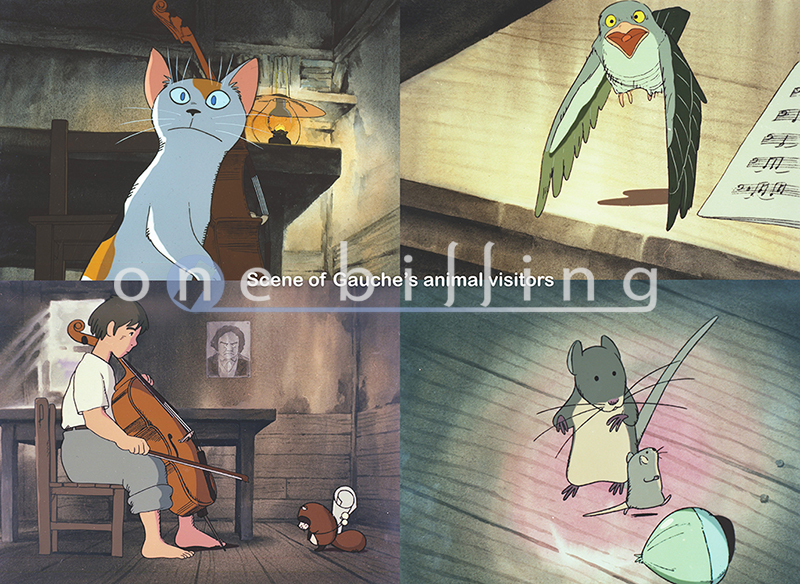 “Gauche the Cellist” can be called a prototype for “The Tale of Princess Kaguya”, which was recently nominated for the Academy Award for Best Animated Feature, and is regarded as an animation masterpiece in Japan. The director of “Gauche the Cellist” Isao Takahata is a master animation director within Japanese animation, akin to Hayao Miyazaki. Takahata’s method of directing and ideology had a great influence on Miyazaki when he was still just an animator. Takahata’s philosophy regarding his works remains unchanged since the past. 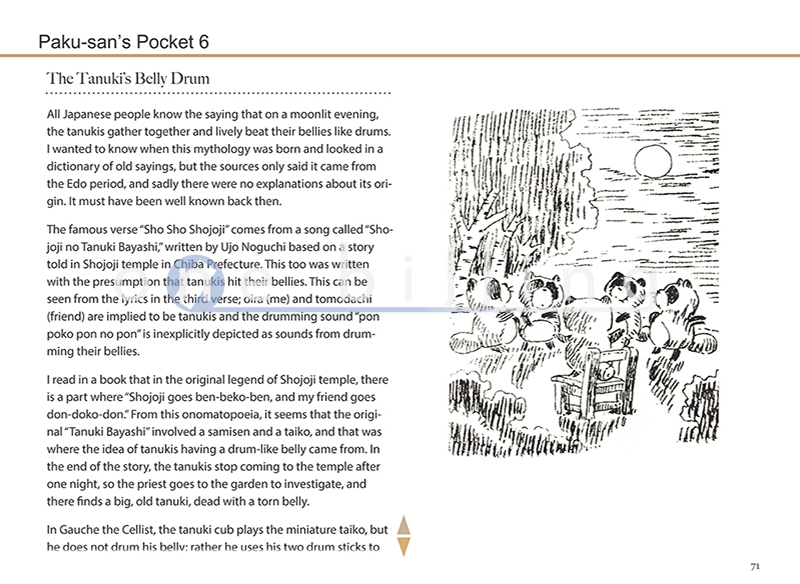 Included in this multi-touch book are many of Takahata’s precious essays depicting his thoughts and approach to his work. This is the only book that includes Takahata’s essays translated into English. The making of “Gauche the Cellist” has many commonalities with its successor, “The Tale of Princess Kaguya.” Both films are adaptations of classic short stories and were both produced in a way that capitalized on the individual talents of a small main staff; “Gauche the Cellist” was produced in six years by only three people; Isao Takahata (director), Toshitsugu Saida (animator), and Mukuo Takamura (background artist). In fact, Osamu Tanabe, the main animator of “The Tale of Princess Kaguya”, began his animation career at OH Production. 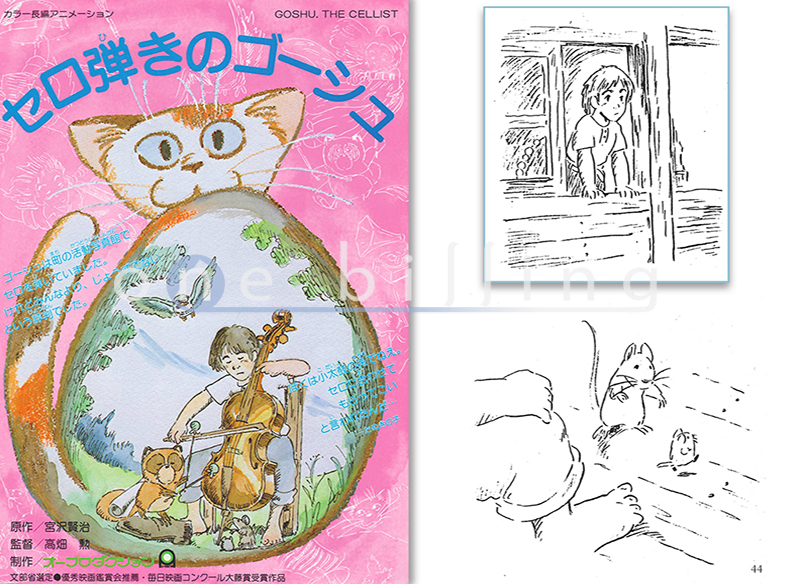 The collaboration between Isao Takahata and an animator from OH Production was once again realized in “The Tale of Princess Kaguya” 30 years after “Gauche the Cellist”. 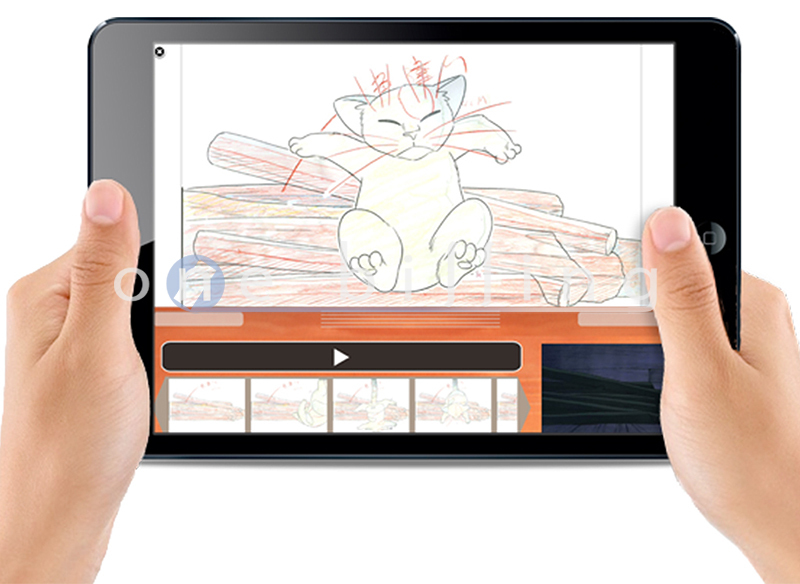 – Features a unique function to enjoy the animation experience, the Sakuga (key animation) Viewing Feature – “Tapmation”. By using Tapmation, you can tap and seamlessly view a series of pictures forming the actual scenes in Gauche through the valuable key frames and in-betweens that are still preserved. 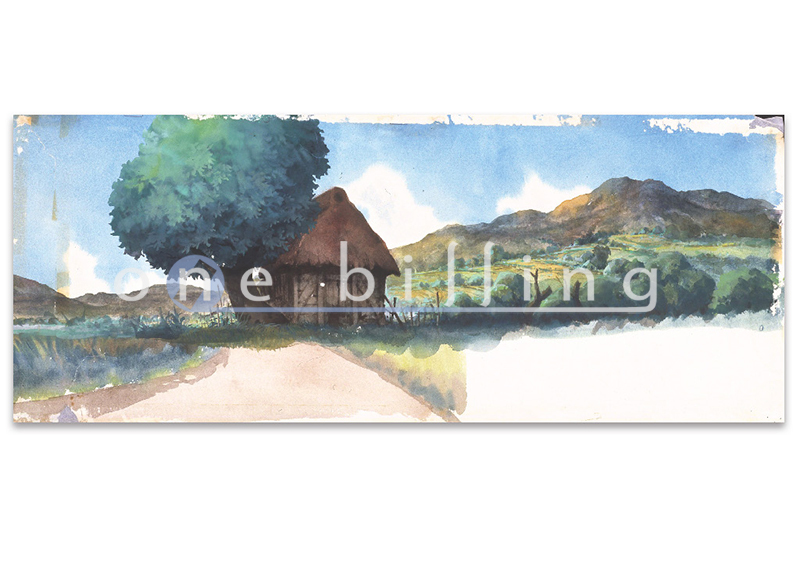 *The key frames and in-betweens featured are made public for the first time.